Western Union is the most trusted name in wire transfers. With over 385,000 Western Union locations in over 200 countries and territories, you can send money anywhere in the world in just minutes. You can also quickly pay off your last-minute bills, to avoid late fees, extra surcharges, cancelled services, and stains on your credit history. CashCity makes it even simpler to transfer money or pay bills through Western Union. We’re open for extended hours throughout the week to serve your money transfer needs in Etobicoke and the Greater Toronto Area. We make it easy to send money back to your family in your home country, and to pay off those pressing bills and debts. Why transfer money with Cash City? Come into our convenient Etobicoke location today to transfer your money quickly and securely. 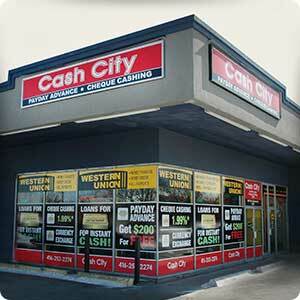 CashCity can send your money anywhere in the world quickly and securely through Western Union. With over 385,000 locations in over 200 countries and territories around the world, you can rest assured knowing your money can easily be sent to its correct destination. Sending your money overseas takes just minutes. Come in to our Etobicoke location and we’ll get the process started immediately. Your family and dependants around the world can get the money the very same day! Why pay my bills through Western Union? Western Union allows your last-minute and over-due bills to be paid immediately, saving you late fees, extra charges, cancelled services, the threat of repossessions, as well as negative marks on your credit history. Come in to CashCity in Etobicoke and pay off your bills quickly and securely. What is the advantage of using CashCity over other Western Union agents? CashCity is open extended hours throughout the week, from 9 in the morning to 8 in the evening between Monday and Wednesday, and from 9 am to 9 pm on Thursdays and Fridays. We are even open on Saturdays! Plus, we always offer the best possible rates, with no hidden fees or unnecessary extra charges. Simply come in to our Etobicoke location and we’ll get the process started immediately. Your money will be transferred within minutes!